The Fourth International Feng Shui Convention, Moscow! from practising professionals to the general public. 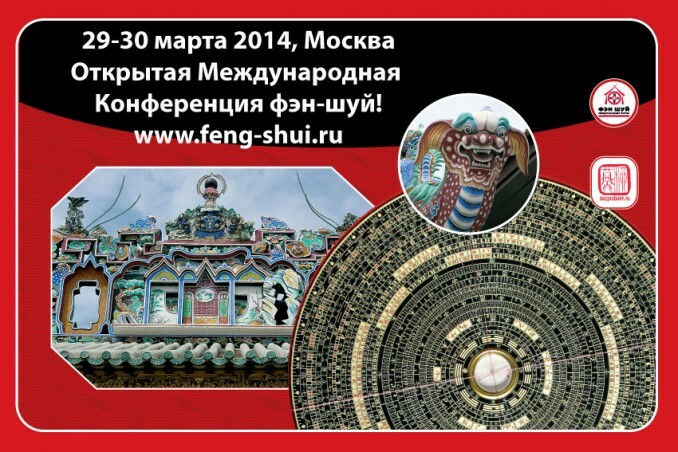 During the weekend 29-30 March, 2014, one of the world’s most important international Fengshui Conventions will once again be held in Moscow. It is open to the general public as well as Fengshui students and professionals. As in previous years, it will be attended by delegates from Russia, China, and many other European and Asian countries, all of whom are globally renowned for their specialist knowledge in Fengshui, Bazi, Yi Jing, the Chinese Calendar and many other aspects of Traditional Chinese Culture. The conference provides participants with a wonderful opportunity to meet with so many experts in their fields, and to discover their philosophies and vision through their long experience of working with traditional Chinese culture in a modern context. The previous Moscow Fengshui Conventions have achieved an enviable reputation not just for being a focal point for the enhancement of knowledge, but also for their wonderful social and friendly atmosphere. Although the language of the convention is principally Russian, English translation will be available, while non-Russian speakers will present their talks in English with Russian translation. Wowww very good news Thanks for the information I was searching for International Feng Shui Convention. I trust life is treating you well.